Tunisian producers are exploring how olives, one of the country's biggest natural resources, can potentially lure a new kind of tourist. Tunisia has long been a tourist destination for mostly sun-seeking Europeans. But as alternative models for tourism are explored, there’s a new interest in developing opportunities for visitors to learn about aspects of Tunisian culture, including food. One-third of Tunisia’s land is covered in olive groves and a growing number of Tunisian olive growers are producing high-quality extra virgin olive oils. Thanks to growing international recognition for Tunisian olive oils, there’s a developing interest in the potential for olive oil tourism in this North African country. Much like wine tourism, olive oil tourism (also called oleotourism) is a growing industry in olive-growing regions around the world. Inspired by the popularity of agrotourism in Europe and “olive oil roads” in Italy, Spain and Croatia, producers are now exploring how to apply this model in Tunisia. Leo Siebert, an international development consultant living and working in Tunisia, is examining the potential for an alternative tourism model that could also create an impact in other ways. Initiatives in this new tourism product are already being put into action on a modest scale. A few producers already welcome visitors to their olive groves set in scenic landscapes and have recently set up tasting rooms and opportunities for guided tastings as well as classes led by sensory experts. Many others are planning to develop olive oil tourism in the near future and are taking the first steps. Located in north-east Tunisia, just over an hour’s drive south of the capital Tunis, is the agricultural region of Zaghouan where olives have been cultivated for thousands of years. Segermès is a sixth-century Roman city that once stood here and the name of the olive farm and mill run today by Mounir Boussetta. After a long professional career in France, in 2014 Boussetta turned his attention to developing Domaine de Segermès and the production of high-quality olive oil from the land and centuries-old olive trees he inherited from his father. Produced here are his organic extra virgin Chetoui and Chemlali olive oils that have won multiple international awards from BIOL Italy, Olive Japan and Mario Solinas. On the 300 hectares of land making up the farm are not only olive trees but also ancient ruins, including an antique olive oil mill, the remains of a Byzantine church with part of its mosaic floors intact, as well as a sarcophagus and baptistery dating from the 6th century. Close by is a Roman water temple and aqueducts built in the year 122 by Emperor Hadrian. The scenic landscape and mountain views, combined with historic Roman ruins, endless rows of olive trees, and an on-site production unit make this the ideal destination for olive oil tourism. 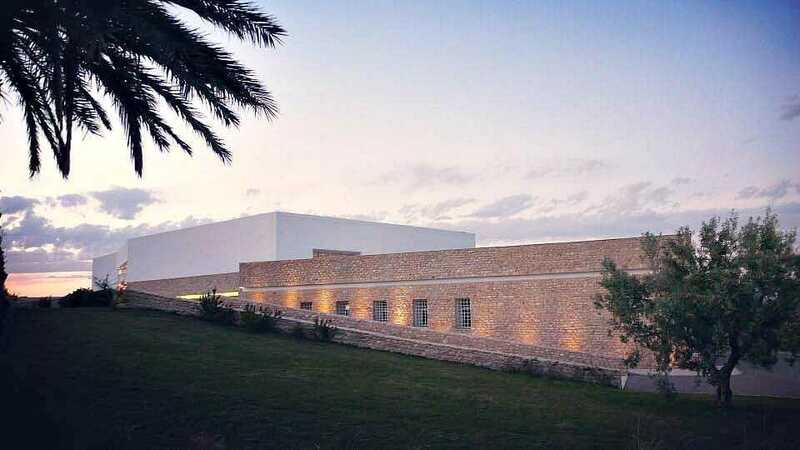 Set in beautifully landscaped grounds is a contemporary building designed by renowned Tunisian architect Adel Hidar housing the production unit which includes a two-phase mill, a storage area, bottling unit and even a lab. On the upper floor is a tasting room with floor-to-ceiling windows opening onto a spacious terrace with a view of the mountains in the distance. 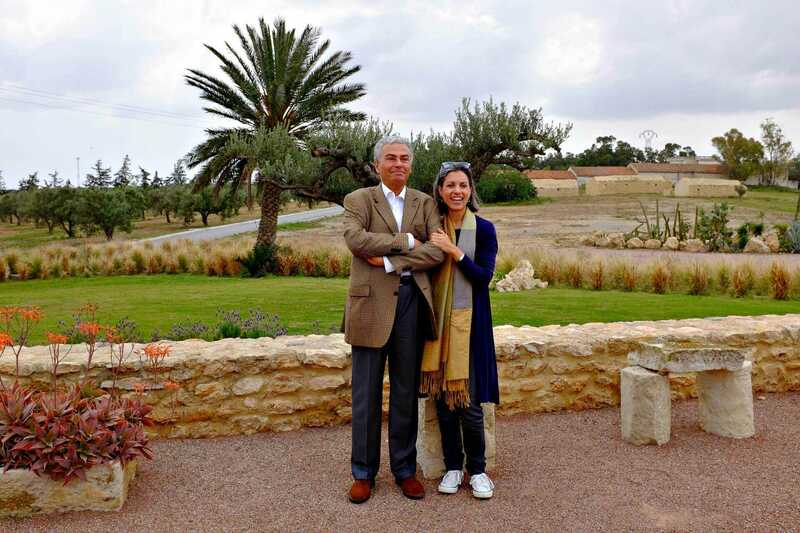 In the region of Tebourba, 60 km west of Tunis, the Mahjoub family of Les Moulins Mahjoub has been producing olive oil from the north Tunisian Chetoui variety for three generations. Since 1990 they have provided their organic olive oil and other food products like olive spreads, harissa, sun-dried tomatoes and capers to the Belgian bakery and fine food chain, Le Pain Quotidien, exporting to the U.S. and two dozen other countries. Visitors to the region are welcome to visit the family’s impeccably maintained traditional 135-year-old oil mill. The old family photographs on display in the office area add to the atmosphere of old world charm that reigns here. Behind the mill, a garage has been converted into a rustic-looking tasting area made up of reclaimed wine barrel tables and a small museum displaying a 2,500-year-old stone press, amphora, traditional tools and informational panels. Though many Tunisian producers have switched to modern two-phase mills, there are traditional mills like this one using granite millstones and hydraulic presses still in operation across the country. Through this traditional process, the oil is not separated by centrifugation like in modern mills but through natural decantation, or cold static decantation. The pros and cons of each method is a hotly debated topic, but the cold-pressed oil produced by Moulins de Mahjoub is not only certified organic but also meets the chemical and organoleptic requirements to be labeled extra virgin. Forty-five kilometers south-west of Tebourba in the governorate of Beja is Toukaber, the ancient site of Thuccabor, a former Roman city at an elevation of 620 meters. Few tourists venture here but this is perhaps one of Tunisia’s most picturesque regions. From the Ben Ismail family’s farm, Réserve Familiale Ben Ismail, is a sweeping view of rolling hills reminiscent of Tuscany. Inspired by the triumphal arch of Thuccabor, one of the ancient monuments making up the Roman site that’s their ancestral home, the family named their brand Triomphe Thuccabor. Launched in 2016 by Mohamed Ben Ismail and his sons Maher and Salah, this organic extra virgin olive oil is an intense fruity organic Chetoui that has been recognized by international awards in Athens, London and Los Angeles, and is exported to Japan, France and Switzerland. 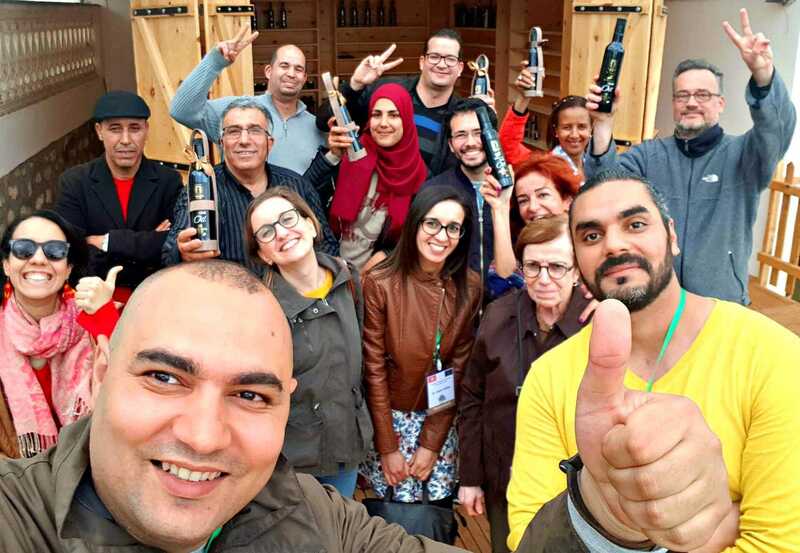 Earlier this year, the Ben Ismails opened Tunisia’s first olive oil bar in a dedicated space on the family farm, which also includes an on-site boutique and an education center where weekly training workshops are offered in sensory analysis led by an expert. 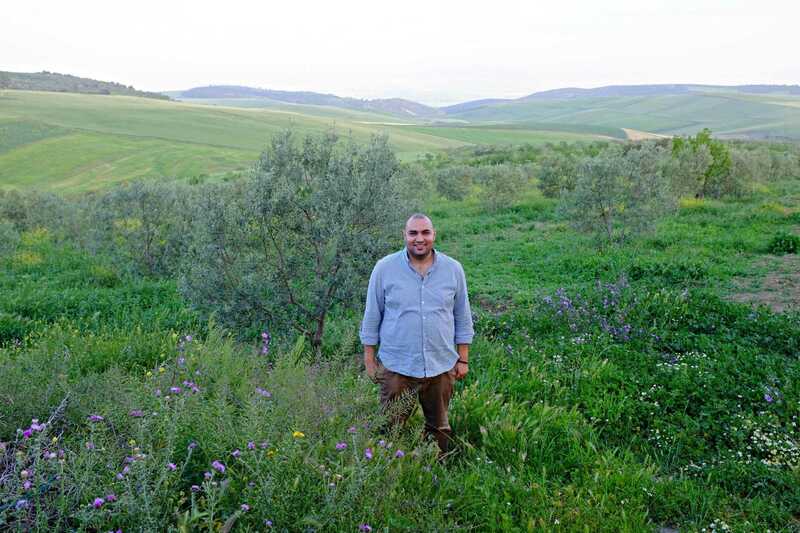 Visitors to the Ben Ismail’s domaine are greeted personally by a member of the family and given a tour of their groves and on-site production unit. So far, a dozen training workshops in sensory assessment have been held here, while numerous groups from mostly European countries have visited the farm. Advanced training for olive oil professionals is planned for the near future. As producers set up the necessary facilities to welcome olive oil lovers to their farms in northern Tunisia, it’s in central Tunisia that perhaps the very first initiative related to olive oil tourism was introduced. Engaging Cultures is a socially-conscious travel company working in Egypt, Jordan, Palestine and Tunisia that caters to independent travelers interested in engaging with local cultures through unique experiences. 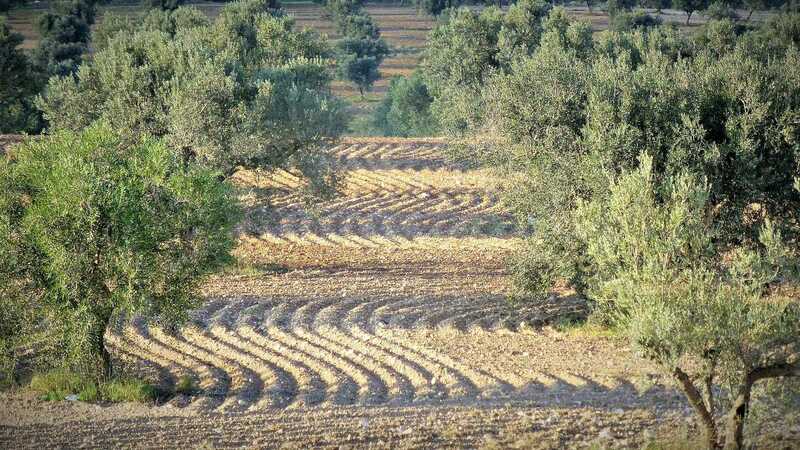 Among the unique experiences Engaging Cultures offers travelers is the chance to visit olive groves in the Sfax region and participate in a harvest during the winter season. An educational introduction is provided to the different olive varieties grown in the country and insights into what it’s like to tend an olive grove and how to know when olives are ready to be harvested. The benefits of olive oil tourism can be mutually beneficial. For the visitor, it offers an opportunity for educational and cultural exchange, and the chance to explore new landscapes in less-known but visit-worthy regions of the country. Meanwhile, for producers, it represents a supplementary source of income in a sector that’s subject to the unpredictability of weather patterns, and could also result in new contacts and business opportunities. This new Tunisian tourist product is still in a very nascent stage and challenges to its development include insufficient infrastructures like roads and hotels in olive-growing areas and limited connections to public transport. But with the necessary investment, olive oil tourism has the potential to attract visitors interested in food tourism while also promoting high-quality Tunisian olive oil. Tunisia is steadily recovering from the 2015 terrorist attacks in Sousse that devastated its tourist industry in recent years, and olive oil tourism is one small but significant way to offer visitors a new experiential travel experience that’s a move away from seasonal mass tourism. Olives are one of the country’s biggest (and most exported) natural resources that can also potentially lure a new kind of tourist. 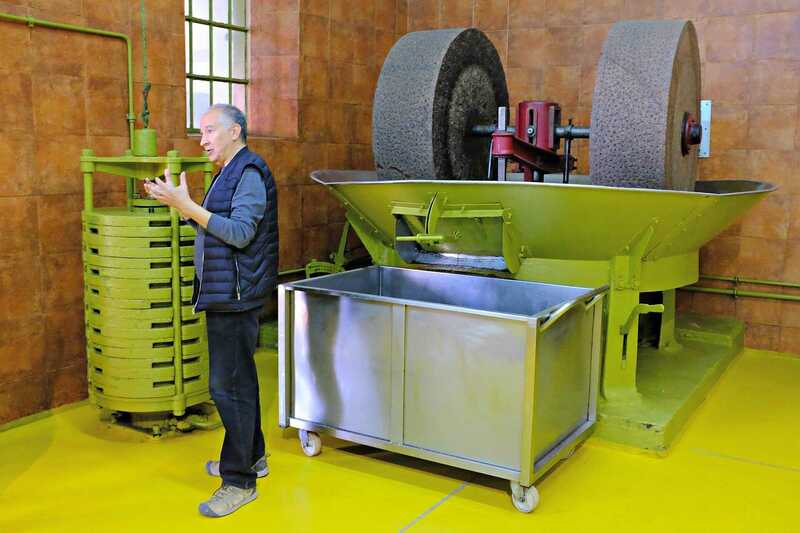 The olive oil museum in Úbeda creates an interactive experience where visitors may learn about the crop's history, production process and sample various local oils all in one place. Will 'Oleoturismo' in Jaén Be the Next Big Thing? Will ‘Oleoturismo’ in Jaén Be the Next Big Thing? Tourists plan their trips around visiting vineyards or restaurants all the time. These days, olive oil is on the list, too.